Early Bird Tickets to the 2015 Conference for Catholic Tradition! 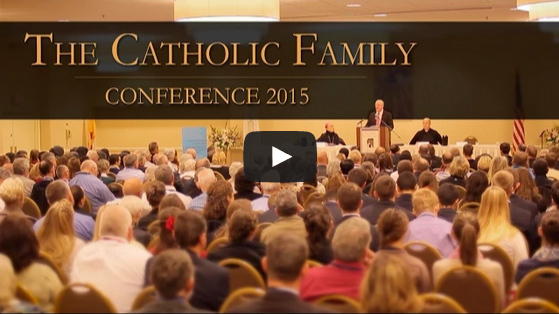 As a counter-point to the Synod - the SSPX is having a conference on the Family. Which do you think will be in keeping with the Teaching of the Church? I know where I'd put my money! The Family: Hope for the Church. In a world where the Sacrament of Marriage is being attacked, Catholics must unite as a single flame burning for truth. Join us this fall as Angelus Press once again brings together some of the best Catholic thinkers, speakers, and writers to consider this year’s topic: The Family – Hope for the Church. This conference is relevant for those considering a marriage vocation as well as both new and seasoned married couples alike. Come learn more about the gift of children and the great responsibility of raising them in the midst of the crisis of the family today, while at the same time enjoying the company of other like-minded traditional Catholics. Join us for our sixth annual Conference for Catholic Tradition – a profoundly enjoyable Catholic weekend on October 9 – 11, 2015. Help us make this event available for priests and religious by making a donation.